Alongside the release of iPad mini reviews, the embargo was also lifted for reports on the fourth-generation iPad, which brought incremental changes and tweaks including the faster A6X processor. 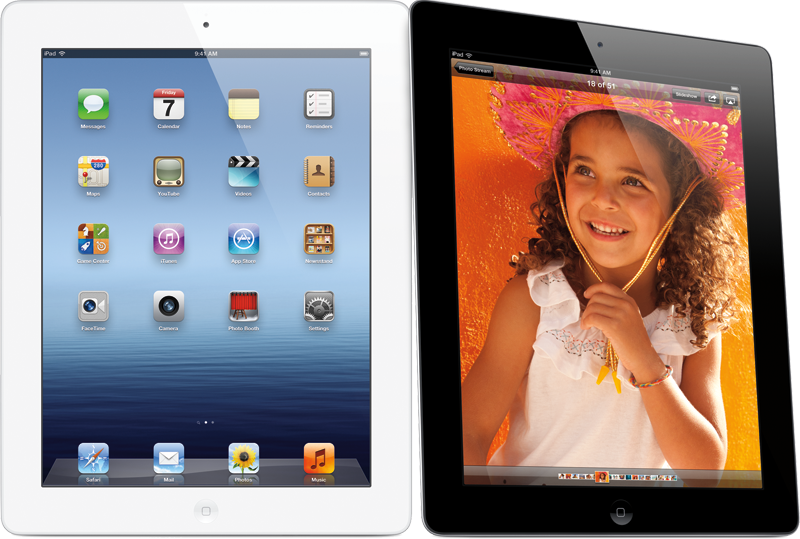 In practice, the most noticeable difference between third and fourth generation of iPad is how quickly apps launch. It's not so much that the older iPad is slow to launch apps, but the A6X-powered model is consistently and noticeably faster to do so. The fourth-generation iPad is the very definition of an iterative change: Apple made important things better, but neither overhauled nor revolutionized anything. The A6X speeds up the iPad back to levels you'd expect, and it handles Retina Display graphics even better. This is the iPad 3S, so to speak. The new front-facing FaceTime HD camera doesn't feel as dramatic as it did on the iPhone 5 or fifth-gen iPod Touch. For one, the iPad's screen is a lot larger; also, that high-res Retina Display can display a lot more pixels, so the average image just comes off as grainier. It's still better than before, and it makes a difference on FaceTime calls, but the rear camera remains the same as before: 5 megapixels, no changes. For now, one primary way youll notice that this iPad is better than the last version is in the front-facing camera. It simply seems like Apple decided they wanted to push out a new iPad version before the holidays with the new connector and gave it a spec boost as a bonus. Why not do more? Because they dont need to right now. With the iPad with Retina, theres the sense that youre paying for potential. The current level of apps simply dont take advantage of the improved chipset  save, perhaps, the browser  but youre getting the newest connector and the reassurance that your tablet will keep up with whatever App Store developers throw at it over the coming months. The third-generation iPad arguably didnt need refreshing; in fact, if Apple hadnt opted to change to Lightning, it could realistically have held off changing its largest tablet until early 2013, as per its typical yearly refresh cycle. It was reported earlier on Tuesday that preorders for the fourth-generation iPad were sold out, with the next available shipments coming in one week.